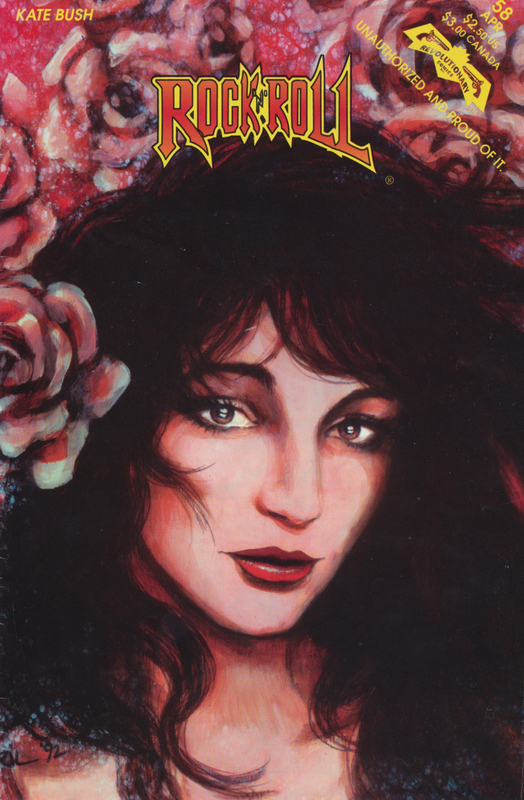 Issue 58 of the Rock 'n' Roll Comics series, published by Revolutionary Comics in the USA on 1 April 1993, is devoted to an unofficial biography of Kate Bush, with uncredited writer and artist. It tells the story of the beginning of Kate's career up until the release of The Sensual World. The entire comic can be read on Revolutionary Comics - Rock and Roll: Kate Bush. The World Of Kate Bush website.